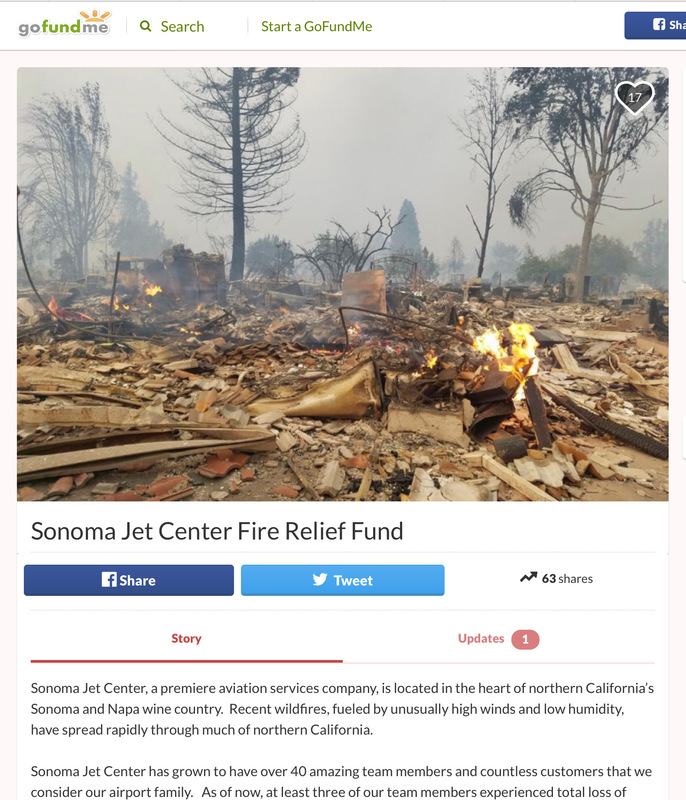 Sonoma Jet Center announces the creation of the Sonoma Jet Center Fire Relief Fund that will be used to exclusively aid airport colleagues who have lost their homes and belongings in area wildfires. “Sonoma Jet Center is committed to supporting our community and our family of airport colleagues,” said Josh Hochberg, Owner and President of Sonoma Jet Center. Please join us in donating at www.gofundme.com/sjcfirerelieffund. Update: Due to the amazing generosity of the Charles M. Schulz – Sonoma County Airport family, Sonoma Jet Center family and customers, and our aviation family, Sonoma Jet Center raised almost $20,000 that was distributed to our colleagues. Thank you to everyone who donated through the Sonoma Jet Center Fire Relief Fund and the many other critical fundraising opportunities that aided those in need after the wildfires. Rise up Sonoma!